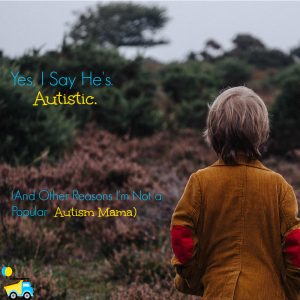 If you’ve been reading for a while, you may have seen that my son A-Man recently got his official autism diagnosis, but we have known about his autism for nearly a year now. I’ve learned so much about not only autism, but other special needs as we’ve gone through this journey of therapies and specialists and diagnosing. One thing that has amazed me is how people truly want to be supportive of families with kids with special needs, but sometimes we just don’t know what to say or how to say it. 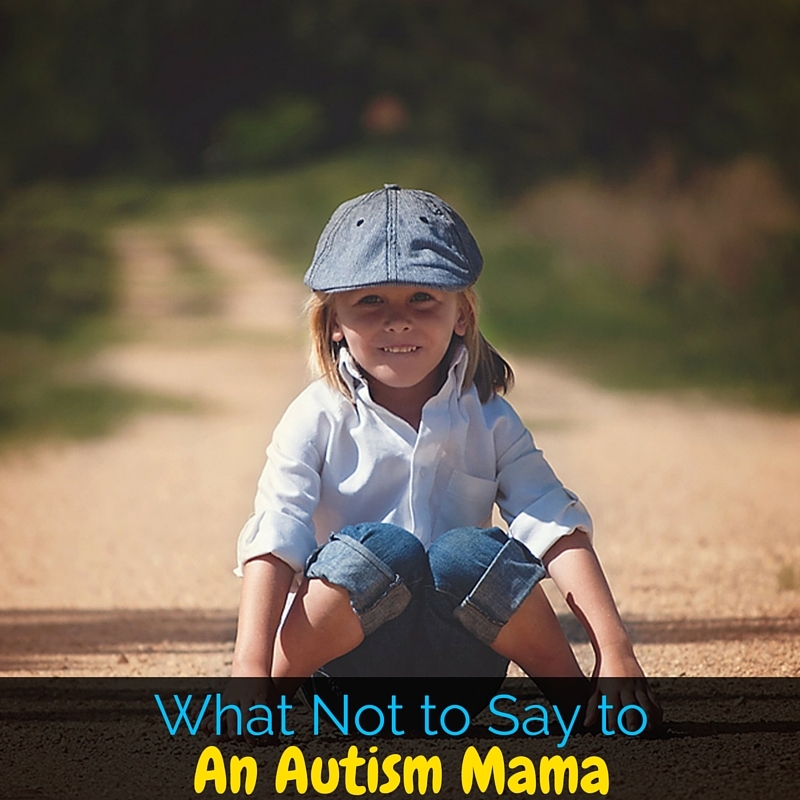 So today I’m sharing some tips of things not to say to an autism mama, though these could fit for other special needs as well. This one can sound like a compliment, and most who say it mean well. The thing is, autism is a very, very wide spectrum. There are people who are severely autistic who most people associate with the disorder. These people may have extreme troubles with eye contact and they may stim often. However, there are also autistic people who don’t fit that stereotype. A-Man has, after a year of intensive therapies, started making eye contact fairly regularly. His stimming is subtle and you wouldn’t catch it unless you were really observing him. He is still autistic. We still have the struggles. We still had to fight for years for doctors to listen to us. Saying my son doesn’t look like your view of a disabled child minimizes the struggles that we face everyday. On the flip side, this is a big no-no. First, there is nothing “wrong” with being autistic. A-Man’s brain is wired differently than a neurotypical child’s. This means that he has struggles in some areas that are easier for other children, like social situations and dealing with sensory input. However the way that he learns and experiences the world so differently allows him to create in ways that we could never imagine. Many of history’s geniuses are believed to have had autism including Thomas Jefferson, Einstein, and Mozart. 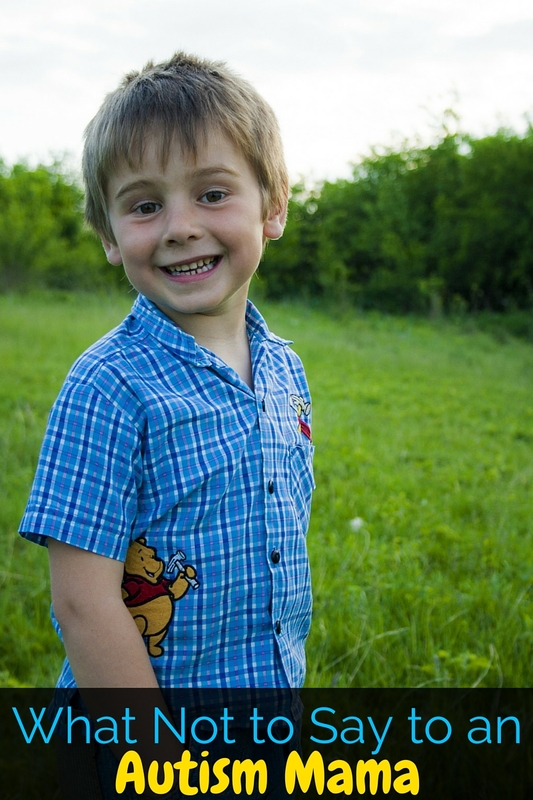 You may have always noticed something different about a child with autism, but there was never something “wrong”. Will He Ever Be Normal? This is an extension of the last, but I felt it needed it’s own category. If by “normal” you mean neurotypical, then no. 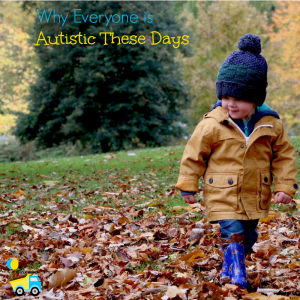 An autistic child will not outgrow their autism and suddenly be neurotypical. If by “normal” you mean fit into society’s view of what children and people should be, than I certainly hope not. I also hope that Mr. C isn’t “normal”. I want him to be himself. I would not encourage any child or person to change who they are to please random strangers or to “fit in”. As long as they are not hurting themselves or others, why can’t we just let people be who they are? I am certainly not normal. I don’t like apple pie or bacon, so in this country I’m practically an outlaw! Society should give up it’s obsession with normal and embrace our individuality. I’m going to go out on a limb here and guess that, no, your son does not have meltdowns. I would guess that your son has tantrums. There is an incredible difference between a sensory meltdown and a tantrum. Trust me, our children have both. A tantrum is consoled if you give in, for example, if little Timmy is screaming over wanting a popsickle and you give him one, he’ll stop screaming and eat his popsickle. However if A-Man is having a sensory meltdown, he will scream, thrash, hit, kick, and lose complete control of himself. If the meltdown started over being hungry, giving him a snack won’t help. There is no stopping it until he’s done. Thank you for trying to empathize with us, but it isn’t really the same thing. Entering in with you believing that everyone is autistic I’ll also throw in implying that we can “spank the autism” out of our children or that autism is caused by bad parenting. Just don’t. If you believe that autism is some weird conspiracy theory, please, please leave us out of it. Our families have faced real struggles, sometimes for years before we find people to listen and help. If you think autism is made up because your cousin’s boyfriend’s sister’s aunt used it as an excuse for her bratty child, that’s fine. Leave us alone. Whether you think autism is caused by vaccines, genetics, or McDonald’s french fries, I don’t want to hear it. I am not looking for the cause of A-Man’s autism any more than I’m looking for the cause of Mr. C’s giftedness. It’s how they were designed. That’s all I need to know. Similarly, we are not looking for a cure for A-Man’s autism. It isn’t a disease, and there’s nothing wrong with autism. We actually actively advocate against organizations such as autism speaks for their beliefs on “cures”. So whether you think that there’s a perfect autism therapy out there, or a certain diet that will suddenly make A-Man neurotypical, I don’t really want to hear it. We are focusing on making sure that with his severe sensory aversions he actually eats, even if that means he has way too many chicken nuggets. 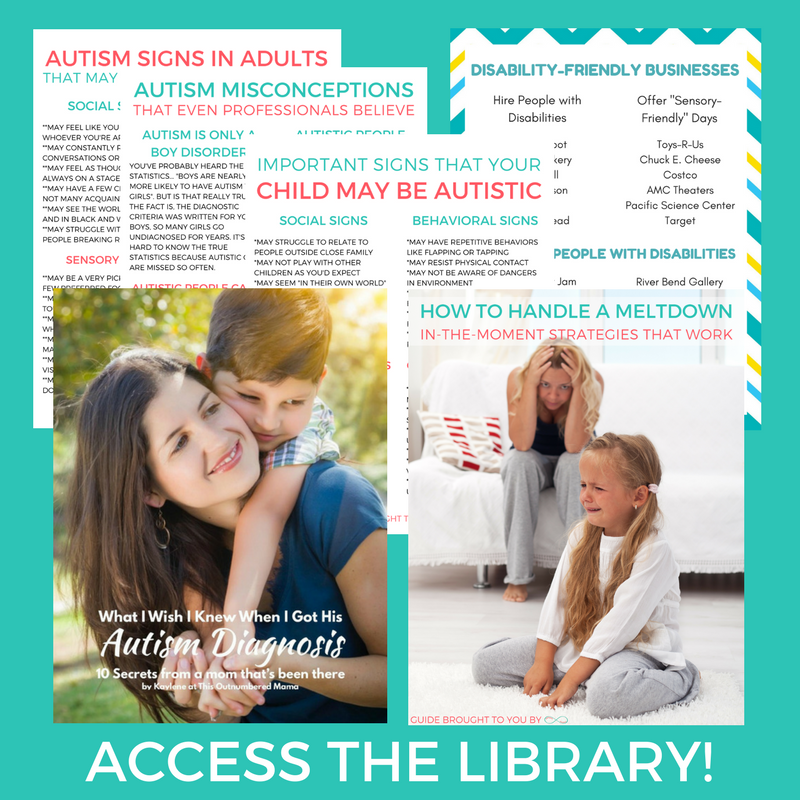 Want a Free Autism eBook? Synonyms for normal include typical, ordinary, conventional, and average. Why would I eat a typical chocolate, inspire others to be ordinary, play a conventional flute, and strive for average grades when I can eat exquisite chocolate, inspire others to be extraordinary, play a unique flute, and strive for excellent grades? This is an incredible point, Anna. I agree completely as usual! By the way, I wrote a post on it. I liked most of your article, but the part about eye contact kinda bugged me. Eye contact can be painful or overwhelming for Autistic people. Even I find eye contact distressing with some people (one of my fave tumblr bloggers and one of my college professors have very intense eye contact) and I’m the most “neurotypical” Autistic person I know (besides my twin sister). Some Autistic people have great workarounds for eye contact, like looking at the person’s lips, bridge of the nose or forehead. We usually don’t get much social information from eye contact anyway (especially those of us with alexythemia) and if my neurotypical professor (the one with the intense eye contact) knows that I didn’t actually make eye contact with him through most of our talks, he never said anything. The part about meltdowns is what gets to me the most at the moment. Because our son is just turned three, everyone loves to make the comments about ‘threenagers’ and I JUST DON’T AGREE. I don’t believe children are naughty or bad, and in the case of a child on the spectrum, it’s that much harder for them to manage their emotions. When people try to equate their experience with mine, it feels like they are invalidating my experience as ‘not that bad really’. Which makes me feel so crappy about myself!